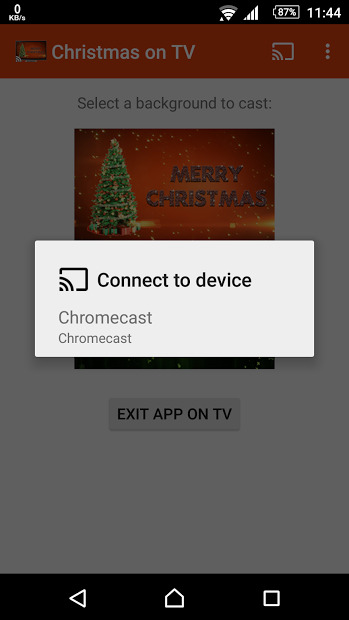 With this app you can set a Christmas background for your TV. The backgrounds are alive and moving. 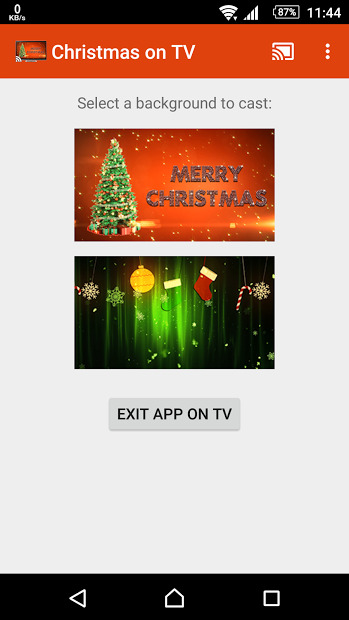 Cast live backgrounds to your TV, you can pick a Christmas tree or Christmas stockings. These are not streamed from the internet and so, you can keep the live backgrounds running for hours without wasting your network bandwidth.